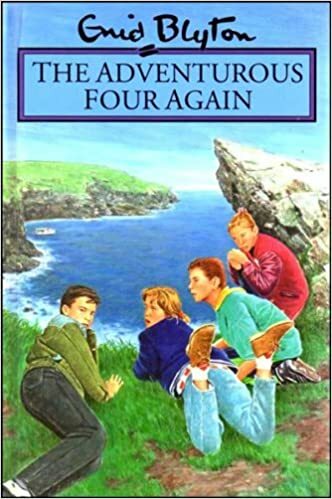 This is a story of the further adventures of four children who get into some hair-raising scrapes, but always manage to survive them. It is one in a series of adventure stories by Enid Blyton, and should appeal to both boys and girls. what to do for water to boil. ”Easy!” said Tom. “There is plenty of rain-water in the hollows of the rocks up here-left from last week’s rain-storms, I should think. I’ll fill your kettle for you, from one of the pools.” ”Right,” said Mary, and handed over the kettle. Tom squeezed out of the cave, found a good pool of rain-water quite nearby, and filled the kettle. Soon it was boiling on the oil-stove, making a nice gurgling sound. Jill cut some bread and butter, and put out a jar of plum jam.